Management of ecological reserve lands should rely on the best available science to achieve the goal of biodiversity conservation. “Adaptive Resource Management” is the current template to ensure that management decisions are reasoned and that decisions increase understanding of the system being managed. In systems with little human disturbance, certain management decisions are clear; steps to protect native species usually include the removal of invasive species. In highly modified systems, however, appropriate management steps to conserve biodiversity are not as readily evident. Managers must, more than ever, rely upon the development and testing of hypotheses to make rational management decisions. We present a case study of modern reserve management wherein beavers (Castor canadensis) were suspected of destroying habitat for endangered songbirds (least Bell’s vireo, Vireo bellii pusillus, and southwestern willow flycatcher, Empidonax traillii extimus) and for promoting the invasion of an exotic plant (tamarisk, Tamarix spp.) at an artificial reservoir in southern California. This case study documents the consequences of failing to follow the process of Adaptive Resource Management. Managers made decisions that were unsupported by the scientific literature, and actions taken were likely counterproductive. The opportunity to increase knowledge of the ecosystem was lost. 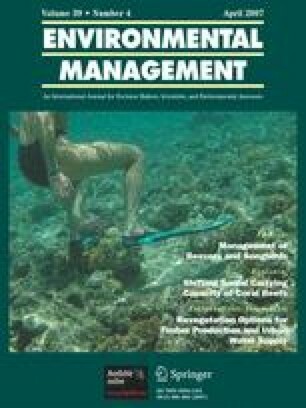 Uninformed management decisions, essentially “management by assertion,” undermine the long-term prospects for biodiversity conservation. We thank J.R. Wolch, D.Egan, D.D. Murphy, and several anonymous reviewers for constructive editorial comments on previous versions of this manuscript. Preparation of this manuscript was not supported through any contracts or grants. After the conclusion of the controversial actions at Lake Skinner, The Urban Wildlands Group received a modest donation toward documenting the events from the Wildlife and Habitat Protection program of The Humane Society of the United States.